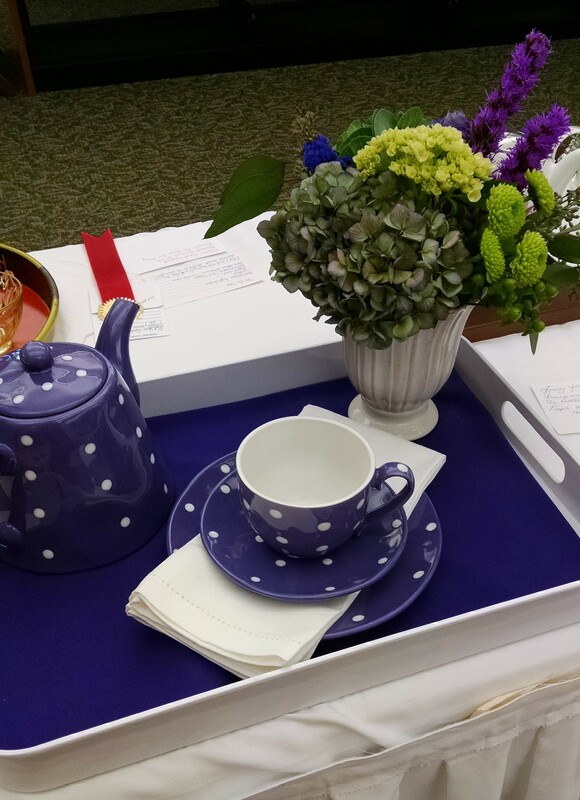 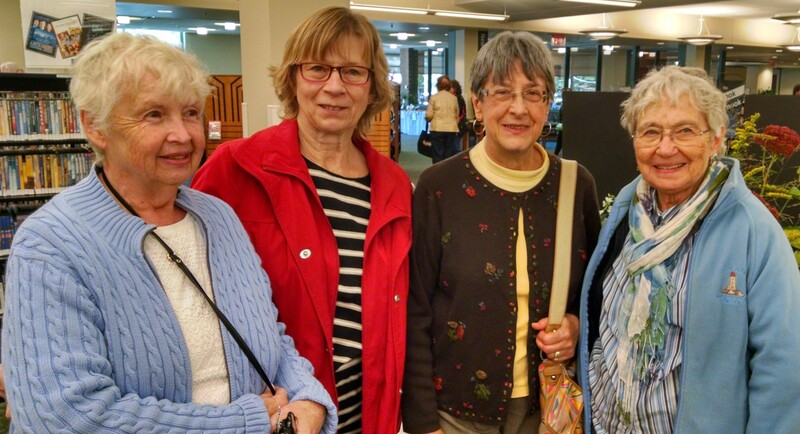 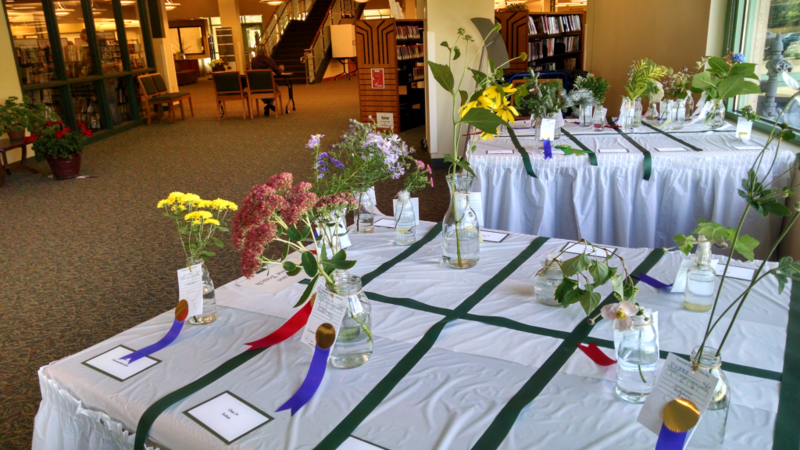 On October 2, 2015 a few of our members visited the Wheaton Garden Club Flower Show that was held in the Wheaton Public Library. 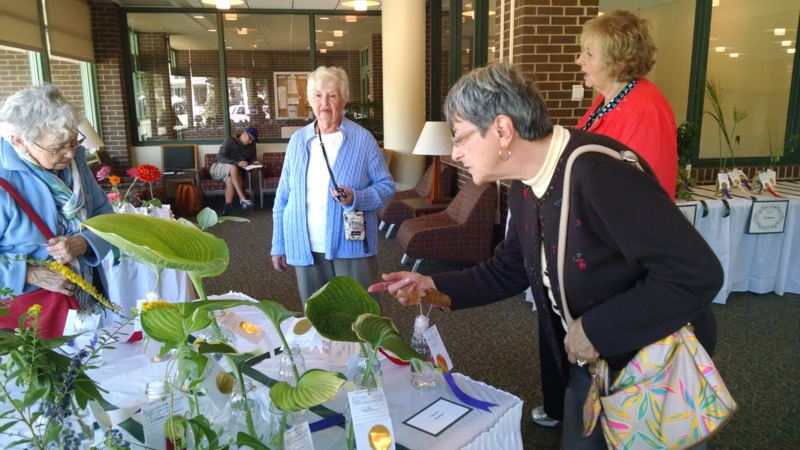 The Wheaton Garden Club is celebrating their 90th Anniversary. 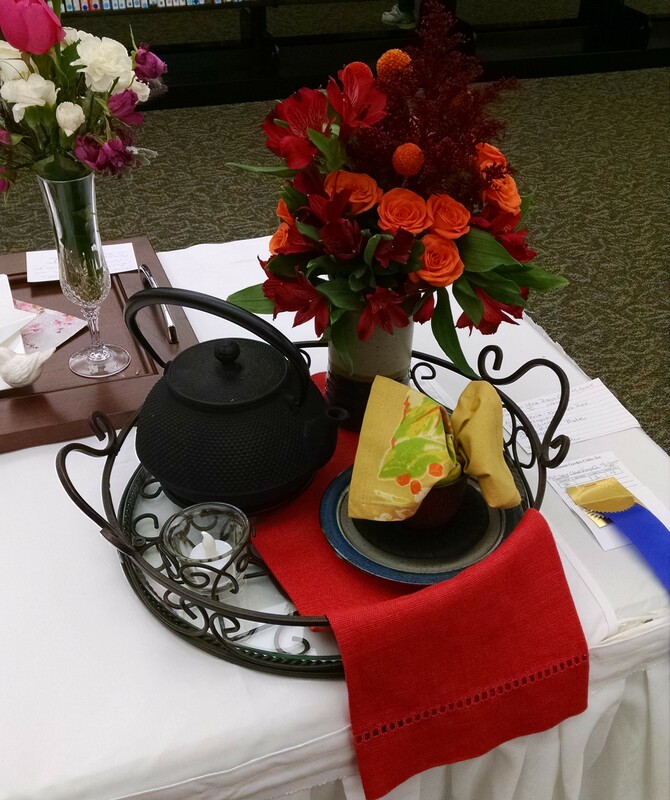 Wow, so impressive. 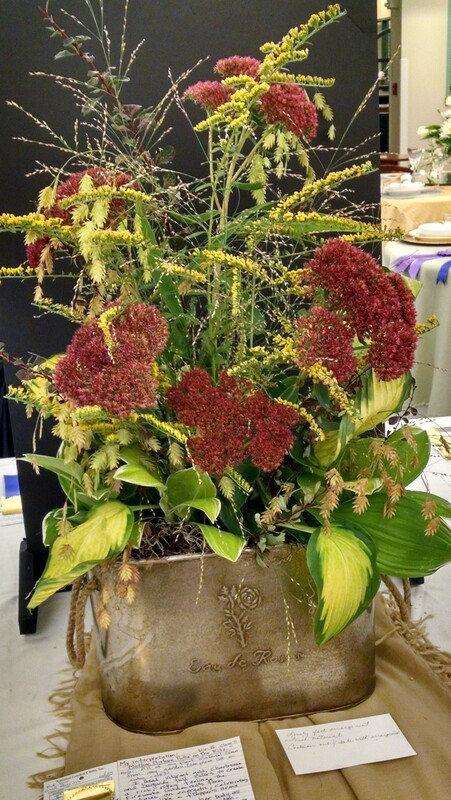 Here are a few pictures that were taken to give you a sample of what goes into a flower show. 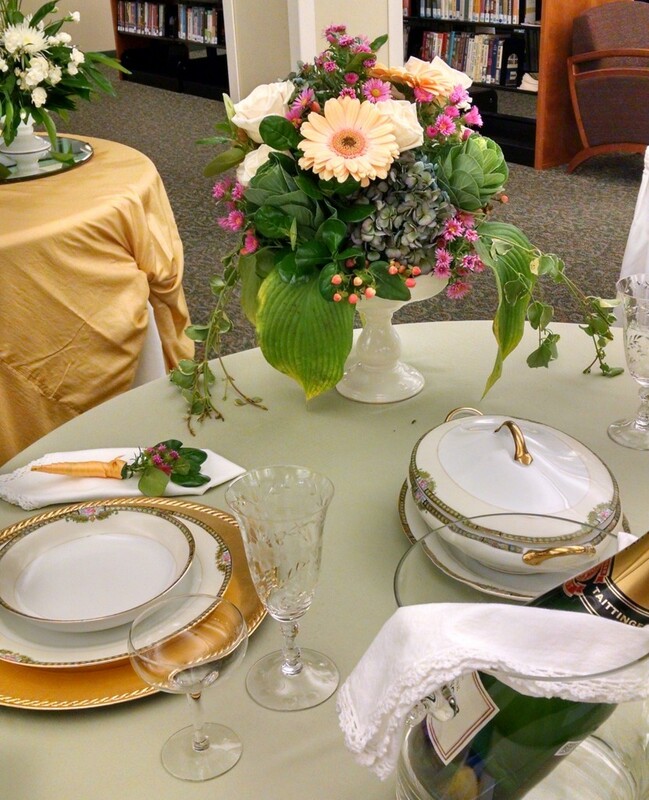 There are several different categories, which are shown below. 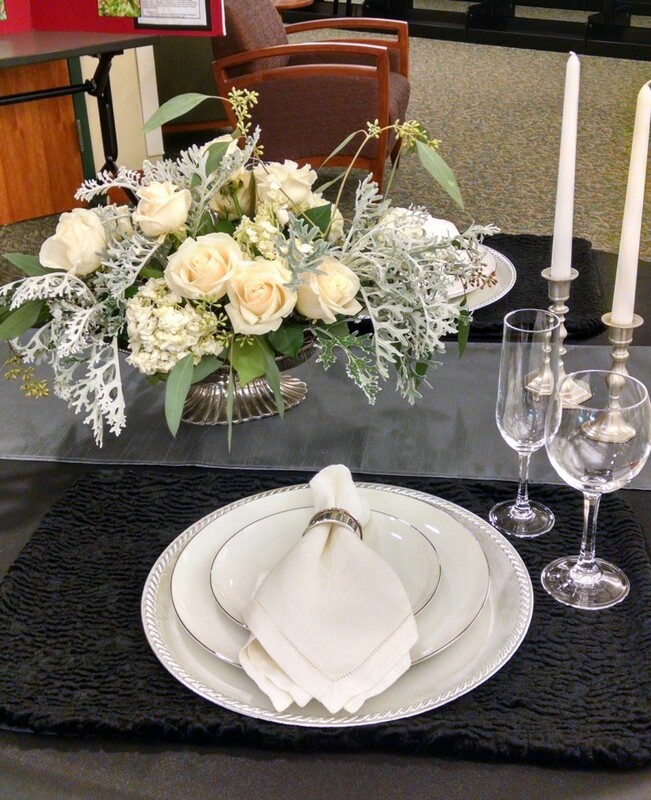 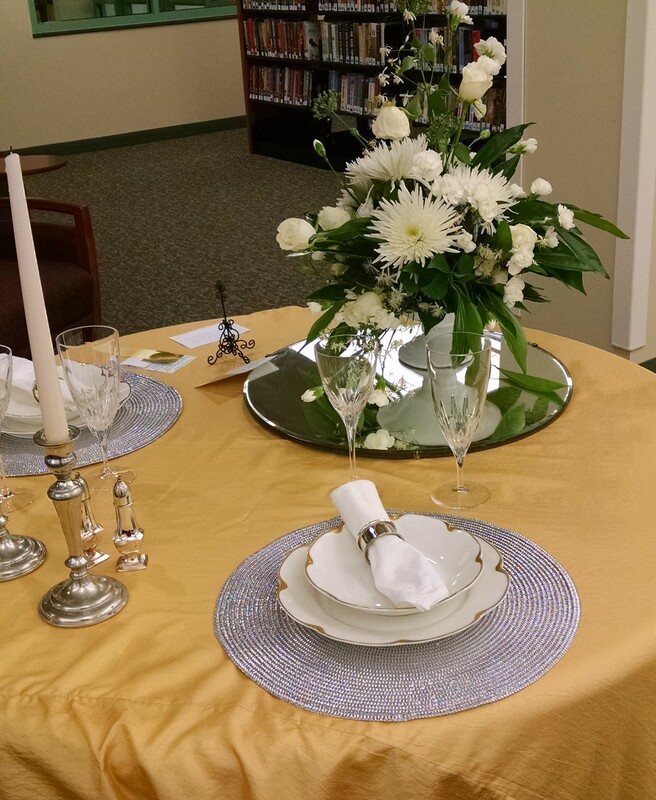 These pictures demonstrate a table setting with the floral centerpiece. 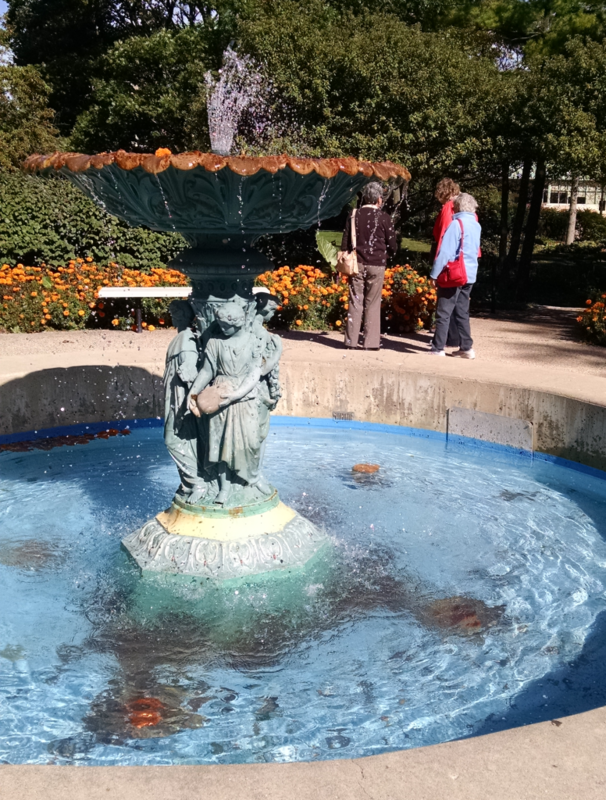 This fountain was in the historic Adams Park located next to the library.